In a world that is ever shrinking and increasingly connected, it is hard for many of us to imagine life in a country without instantaneous access to WIFI, electricity, power and technology. Yet this is a reality for a whopping 1.3 billion people around the world who are currently living without reliable access to power. An exciting and innovative company has taken on the mission of providing sustainable and reliable access to electricity for those living in developing countries and rural areas. Gram Power is an energy technology company set up in 2010, by co-founders Yashraj Khaitan and Jacob Dickinson, out of the University of California Berkley. Another of the company's aims is to reduce $900 million worth of diesel subsidies that are consumed by telecom towers in India by supplying them with clean power through renewable energy. Gram Power tackles this by setting up energy-efficient, smart microgrids in remote areas which have limited access to power. Each microgrid is locally installed and comes with a trademarked smart prepaid meter for each user. 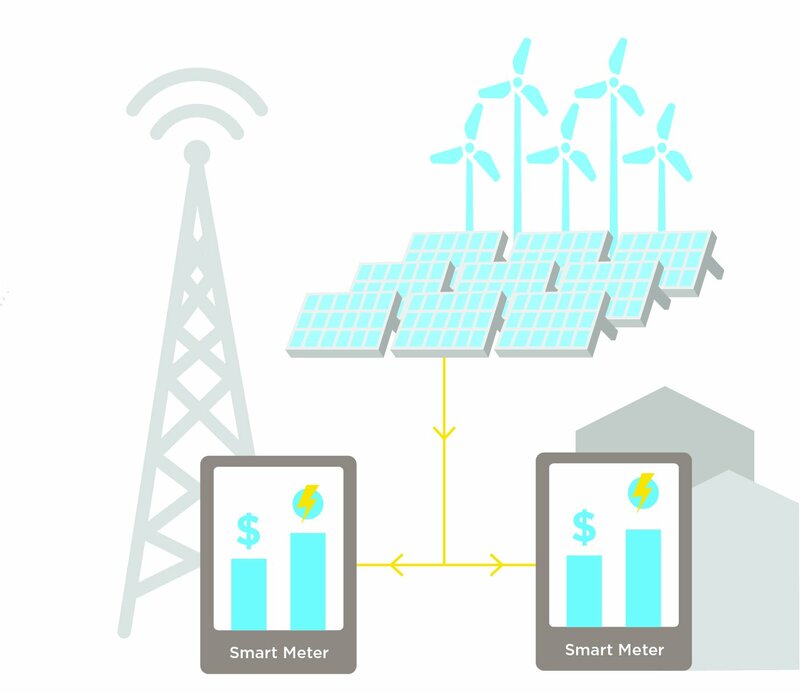 Not only does this provide Gram Power with a steady stream of data, but it also helps them to monitor who uses the electricity and cuts down on power theft. Their methodology uses sources of renewable energy such as solar, wind and biomass (or a combination of two or more). By using these sources, not only is Gram Power supplying cleaner energy, but is also helping to reduce people’s reliance on kerosene and diesel which are often unhealthy and dangerous. Once the microgrid has been set up, a local entrepreneur is then hired and trained to operate the plant and sell power. Gram Power sells energy credits, at a wholesale price, to the entrepreneur who then earns a commission by selling the credits onto consumers. The recipients of Gram Power range from telecom companies, state electricity distribution companies and independent commercial establishments to rural households. Those who particularly reap the benefits of Gram Power are families who live either off the grid or receive less than six hours of power a day. The work that Gram Power does is being recognised and has already received significant global praise. Gram Power was selected among the top 10 Cleantech Innovations by NASA in 2011 and in March 2012, the company also set up India's first solar-powered smartmicro grid in Khareda Lakshmipura, Rajasthan. The microgrid provides energy for lights, buttermilk machines, televisions and fans. In 2013, Gram Power was reportedly on pace to reach 20,000 homes and have 100 rural telecom towers covered with solar panels for generation. – The Khan Academy is a Sustainia 100 solution. Sustainia runs a yearly drive from June to March to find trailblazing new solutions in sustainability, so if you have an innovation to share, you can pitch your project, technology or initiative by visiting: www.sustainia.me/solutions.